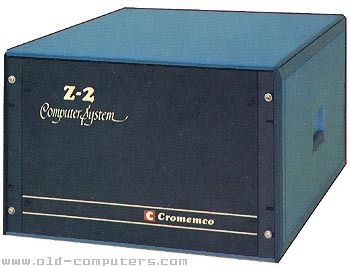 The Z2-D (September 1977) version included 64 KB of RAM, one or two 92 KB (then 184 KB) formatted floppy drives and controller card. The Z2-H system appeared in July, 1980. Using the Z-2 basis but including a 11 MB hard disk, two dual sided floppy disc drives and 64 KB of RAM memory. see more Cromemco Z-2 Ebay auctions !